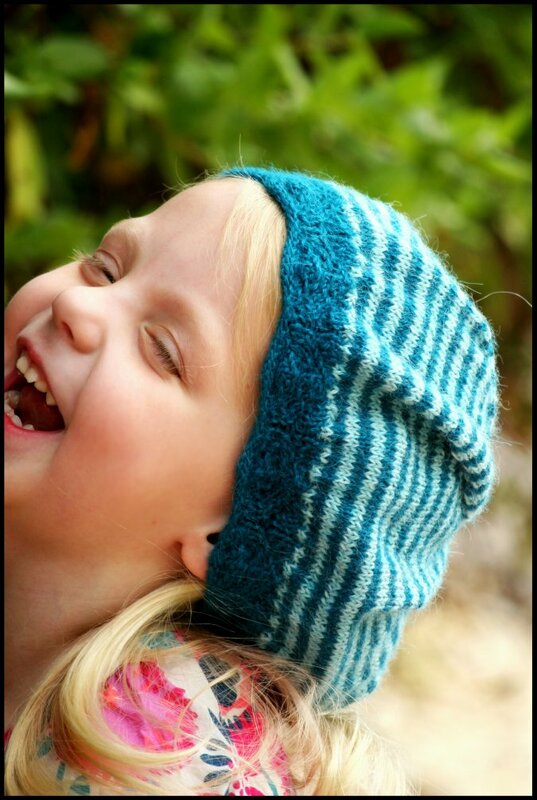 Here is my Molly hat all completed. I'm very glad I chose to make the solid color version for myself. I am in love with this yarn Artesano Alpaca 4-ply, and this color Fern is gorgeous. I love the heathery flecks of blue and yellow tones.. but then again I have not yet met a shade of green that I didn't like. Click here for the pattern. Click here for the yarn. The patterned brim doesn't stand out nearly as much as it does on the striped version, but I think it's pretty just the same. Just a nice subtle detail to add interest. I'm sure I'll be getting a lot of use out of it this Fall. Tomorrow, September 27th I will be meeting with the local knitting group at Woodstone Market in Avila Beach 2:30pm. Ill be there with all of my design samples answering questions and talking about the process of designing your own handknits. 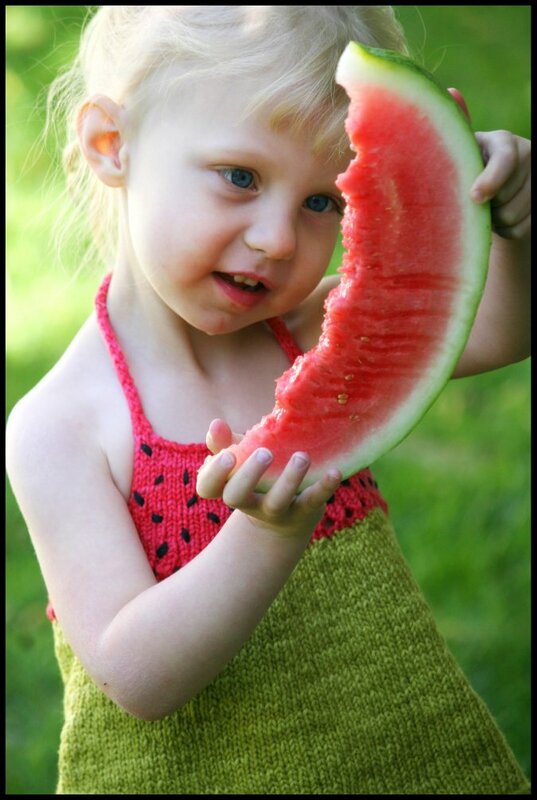 Check out all of the great Haltermelon projects posted on Ravelry by clicking here. 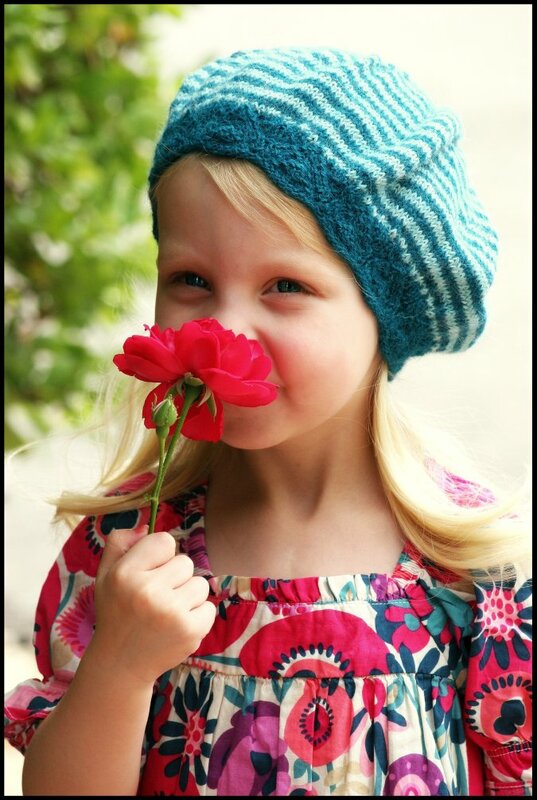 I have been knitting mostly for my daughter lately and really wanted to make a few things for myself again. 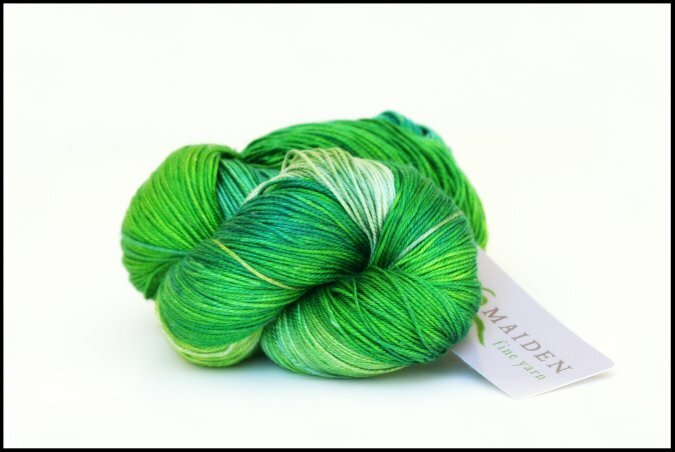 Recently I got this beautiful skein of Handmaiden SeaSilk in the Ireland colorway. I promise that it will look so much better when its done and all laid out and blocked! Its going through its crumply messy stage at the moment. I I love the purl side! I also started the Vine Yoke Cardigan pattern that was featured in the new issue of Twist Collective. This is SO fun to knit. Its knit from side to side! Ive never knit a sweater in this style before! 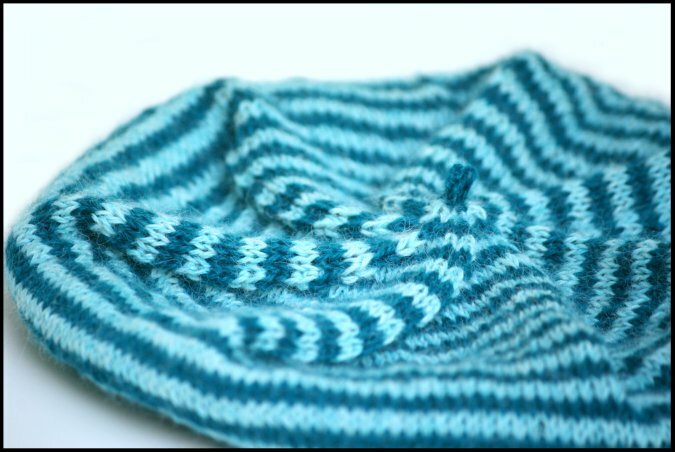 I am using Malabrigo Worsted in Polar Moon. 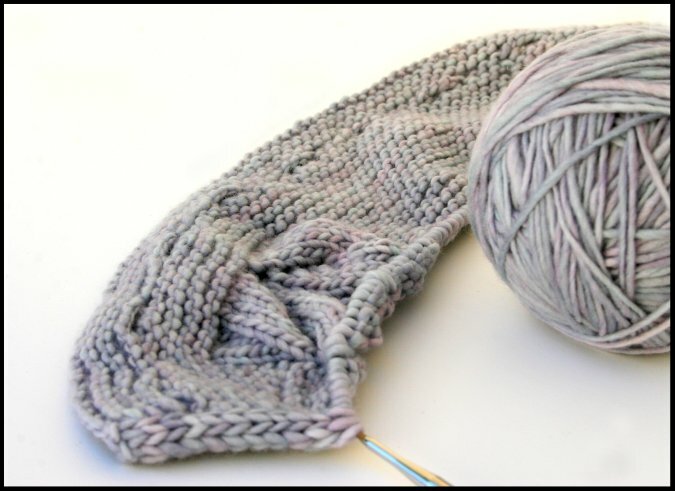 I am supposed to be doing this sweater as a knit-a-long with Hannah Fettig of Knitbot. The drawing winner for Episode 23 is "D"! 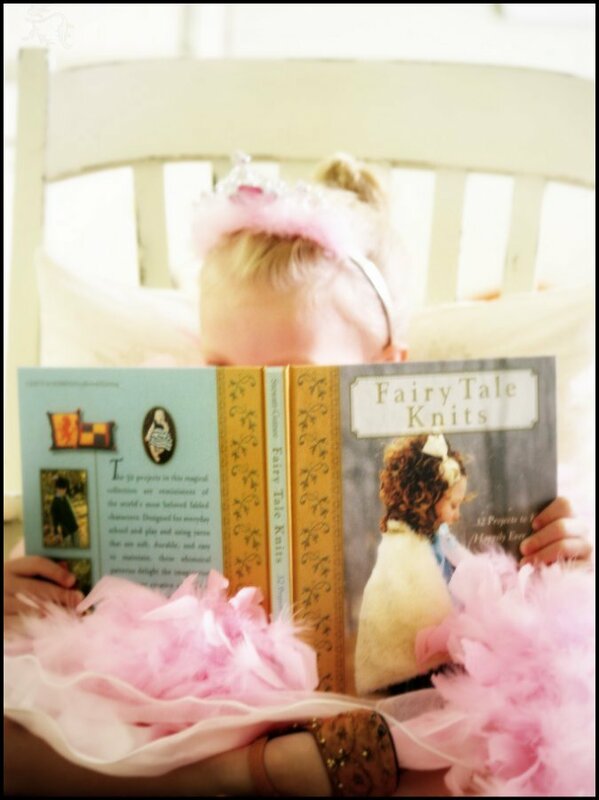 The winner of the signed copy of Fairy Tale knits is KnittyBarb! 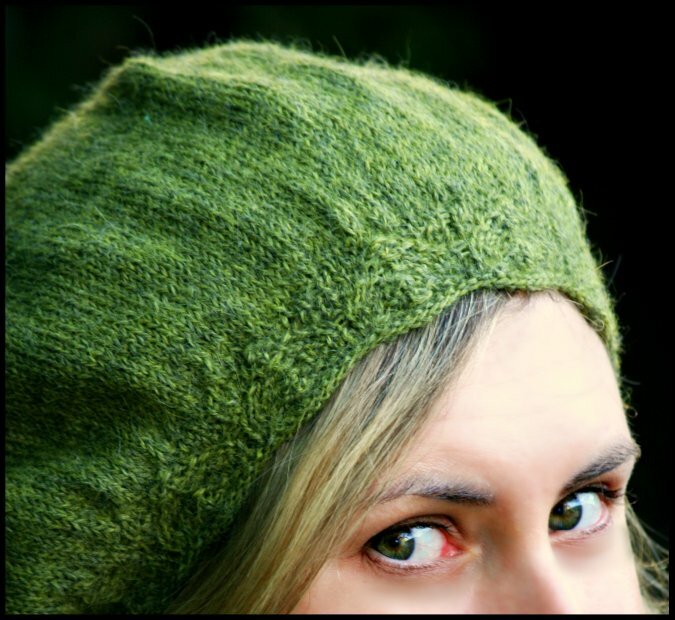 One Planet Yarn and Fibers has kindly offered 10% off the entire shop to the NeverNotKnitting listeners and blog readers. Just enter the code "NNK" in the checkout process! Offer is valid until October 15th. Click here to download the MP3 of Episode 24. A week or so ago, my daughter asked me if I would make her an Elephant. Have no clue why. But that's what she asked. 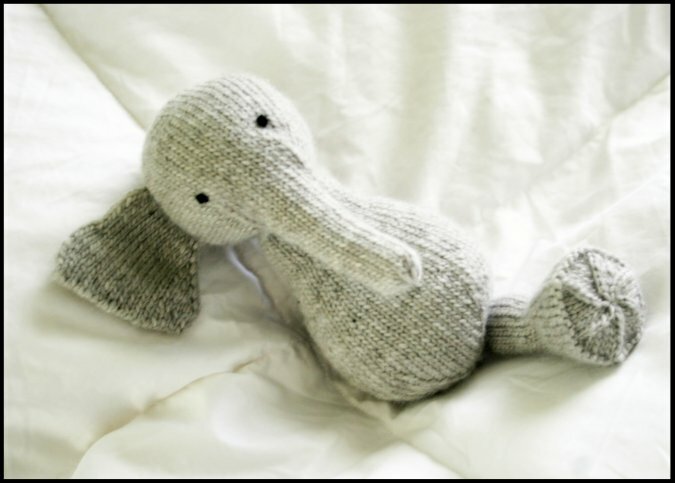 I love to knit toys so I happily obliged! 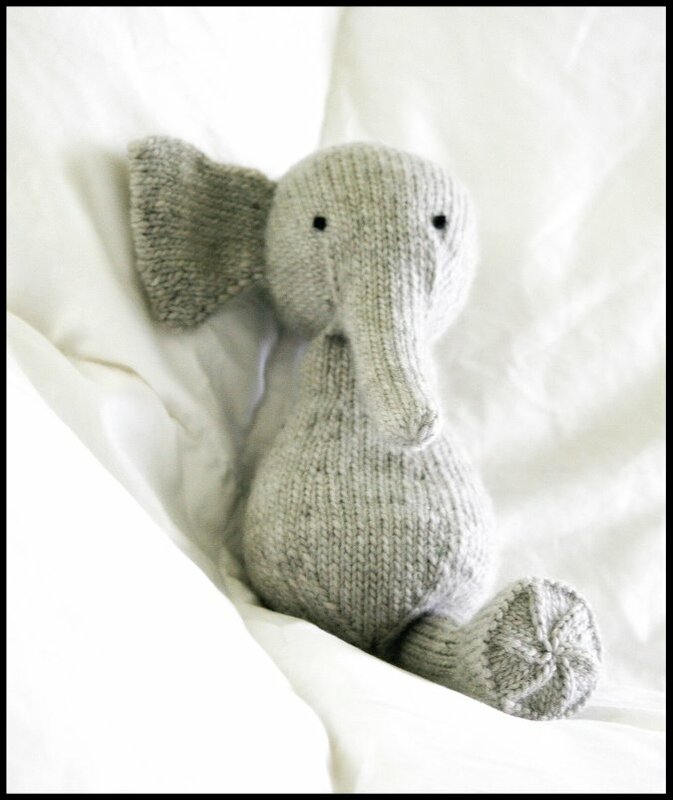 This most adorable knitting pattern "Elijah" immediately came to mind. Ive decided to use up my scraps of the super soft Sublime Organic Merino leftover from my Sheepish sweater to work on this cute little guy. Isn't this the most perfect Elephant color? So.. not to worry! He isn't finished yet! I just thought he looked kind of funny and cute at this stage of the process... in a pathetic/deformed sort of way. I just had to share these pictures. Its cruel, I know. My three year old daughter used to never be one to name things. She always is carrying around some sort of little stuffed animal or doll wherever she goes. Whenever a polite person in the grocery store stops and asks, "Well hello there, whats your Bear's name?" She would always look at them perplexed and answer "Bear" in a matter of fact 'of-course-his-name-is-Bear' type of way. This all changed recently when my husband brought home two fish. And of course these new pets needed a name. I picked out the first name, and told her to name the other fish. (which she determined was a girl since it was the smaller one) Of course I wasn't expecting much. I thought for sure she was going to be naming the fish, "Fish". But she really surprised me. As soon as I asked her she immediately turned to me and answered "Molly". She was as definite as I had ever seen her. I think she was so proud of herself for coming up with this name all by herself, that pretty soon everything and everybody in her pretend world was named "Molly". Every stuffed animal and figurine and pretend playmate. When tragedy struck a few days later.. when.. Molly 'the fish' ... um...well... died, my husband immediately set out to get a new fish. A um... sturdier one... 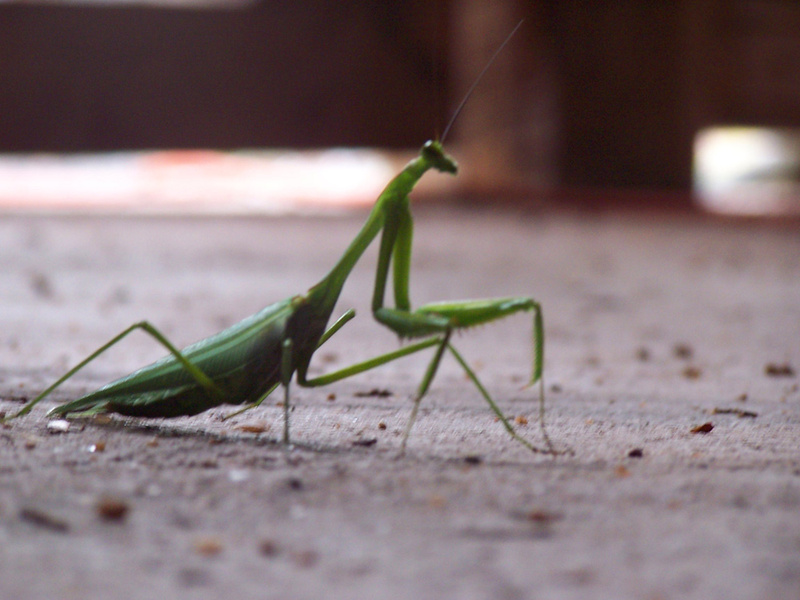 When he returned, I again asked my daughter what its name should be. And she replied with "Molly" of course! And for the record Molly #2 is doing just fine. 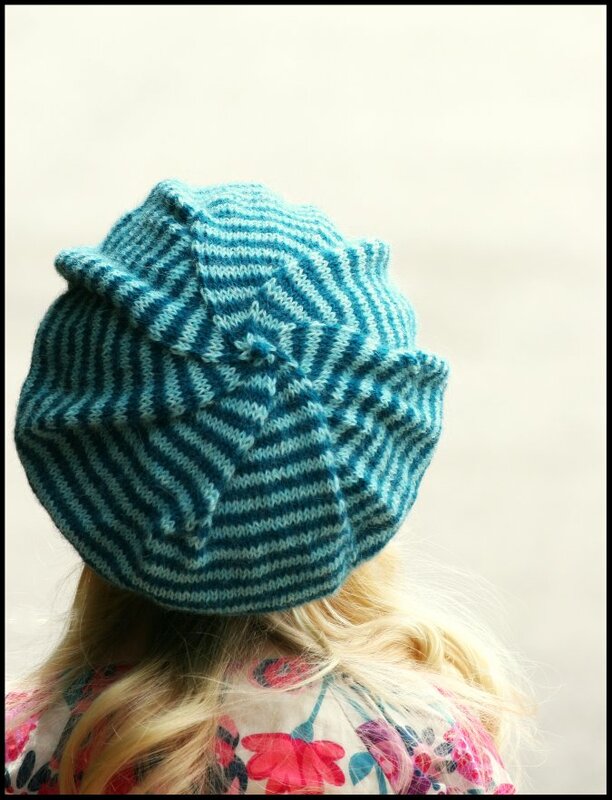 So last week when I started designing this cute stripey beret and couldn't think of any good name for it, my daughter came to my rescue and named it for me. Im sure you can guess what name she came up with. 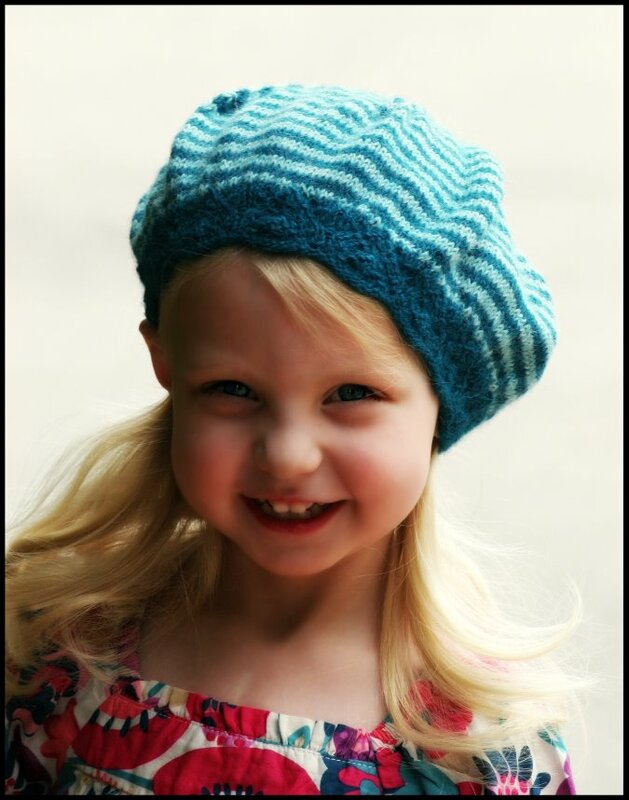 The "Molly" beret is a simple beret with a pretty lace brim and a fun swirled top. The pattern and kit will be available for purchase soon. 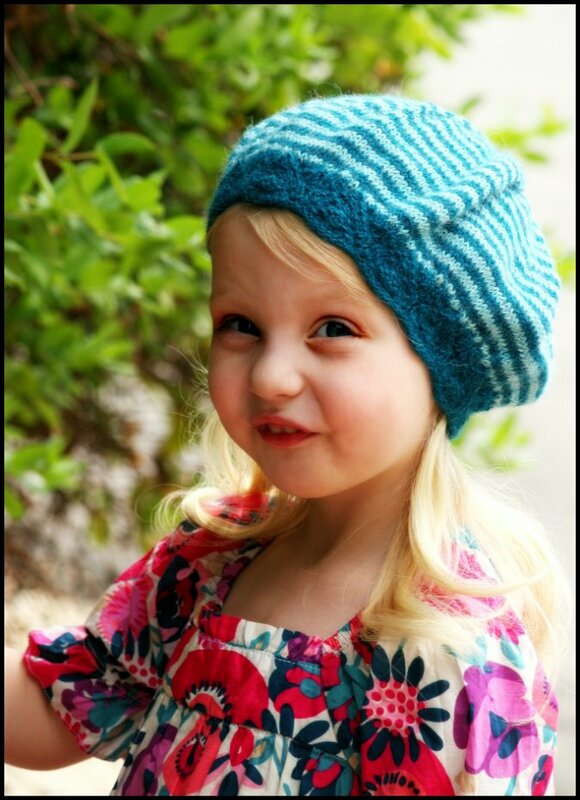 This hat will also be available in all sorts of sizes ranging from baby to adult. Im going to be starting a solid color Molly for myself shortly. 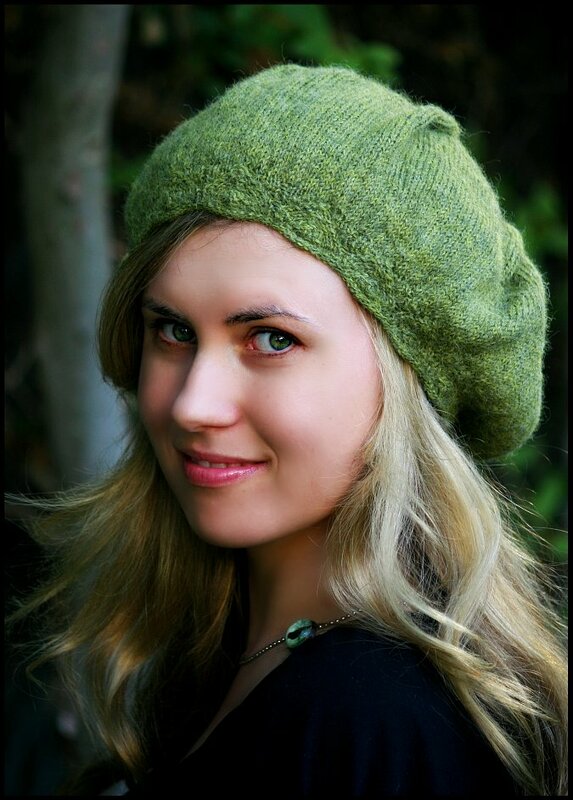 Aside from the hat, I've started 3 other new knitting projects! Another one for my daughter and two for me! Check back soon to see all the new pictures! 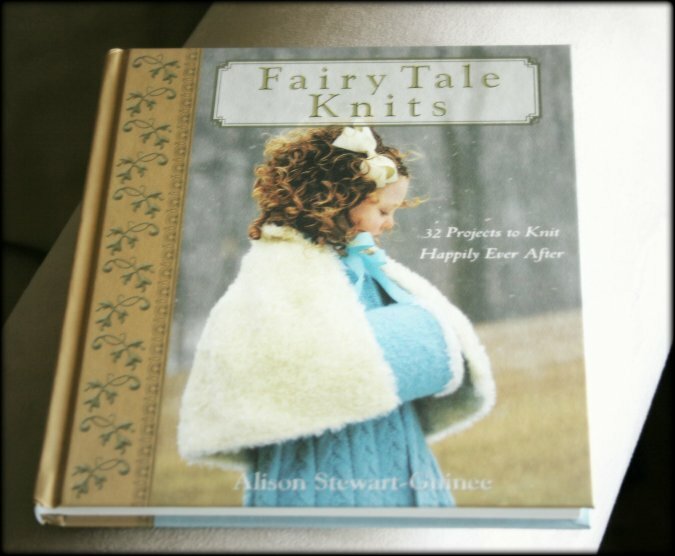 This is a signed copy of Fairy Tale Knits, the book that was mentioned in Episode 23! You can enter to win this copy by leaving a comment under this post. I will be announcing the winner on my podcast and blog September 15th! Drawing now closed! Winner is KnittyBarb! Congratulations! 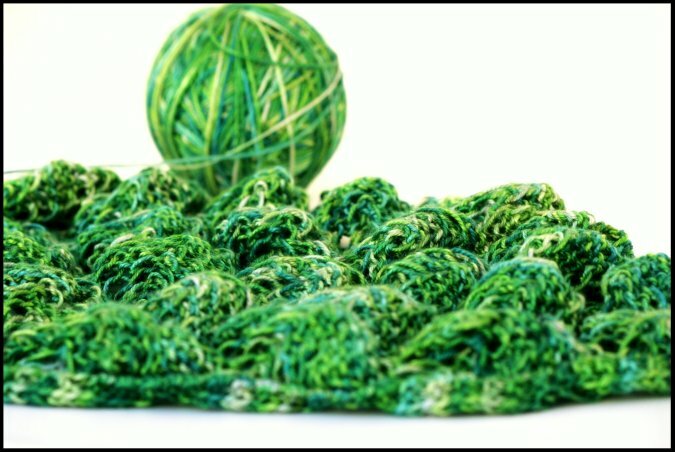 Please join the NeverNotKnitting Ravelry Group! 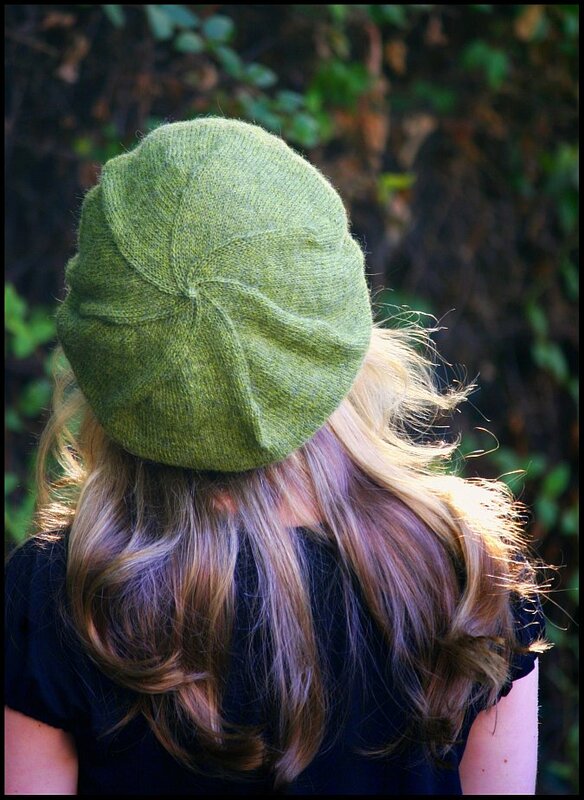 Receive 10% off Sublime Organic Merino Dk through the month of September through Dancing Ewe Yarns! Enter in the NeverNotKnitting discount code in the checkout process.